Welcoming this gorgeous Teak Root Round Glass Dining Table Small. This dining table has a wonderful design that looks very unique. 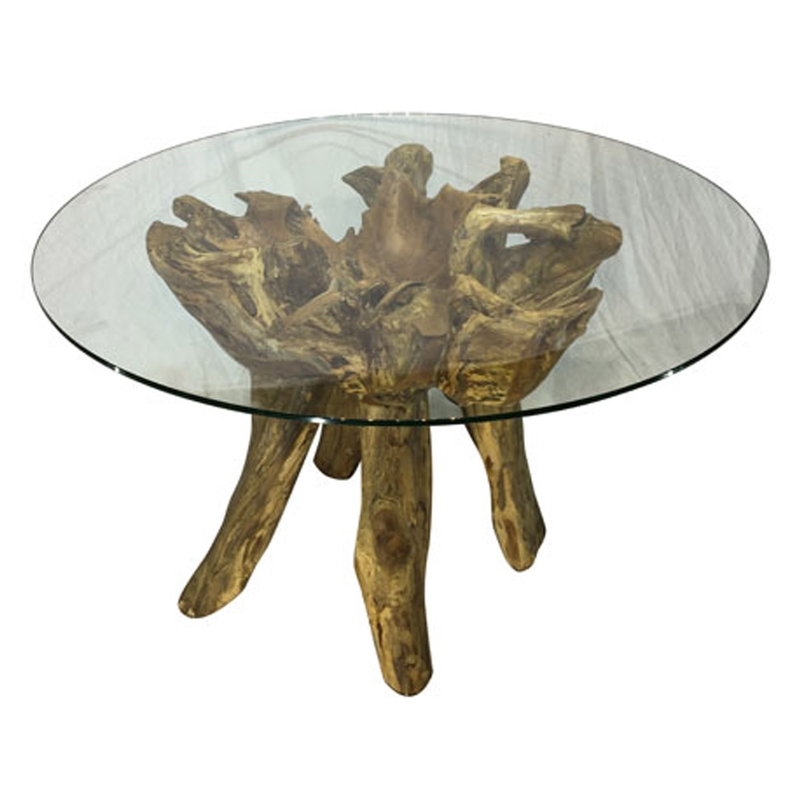 The rustic, teak root and wood base contrasts with a stylish glass top. This style creates a very distinctive piece that is incredibly modern and will be sure to grab attention.